Tel Aviv’s bombardment of Gaza failed to distinguish between civilian and military targets, while the Israeli military did not give enough warning for civilians to evacuate before striking them, Physicians for Human Rights said in a report. The damming report, commissioned by Physicians for Human Rights, including input from eight independent medical experts, said the high number of civilian casualties could have been avoided, had Israel taken more care in coordinating their strikes into the densely populated areas of Gaza. "Attacks were characterized by heavy and unpredictable bombardments of civilian neighborhoods in a manner that failed to discriminate between legitimate targets and protected populations," said the report, published January 20. "In numerous cases, double or multiple consecutive strikes on a single location led to multiple civilian casualties and to injuries and deaths among rescuers," it said, as quoted by AFP. Israel’s actions in the Gaza strip during the summer left almost 2,200 Palestinians dead – the vast majority of whom were civilians. Israel lost 73 people during the conflict, most of those being soldiers and military personnel. Foreign medical personnel interviewed by PHR accused the Israeli Defense Forces of using powerful explosives indiscriminately. Instead of just destroying the intended houses they were targeting, they would destroy large residential areas, which increased the number of civilian casualties. The United Nations Relief and Works Agency (UNRWA) has said that it received only a fraction of the funds needed to pay for the reconstruction and repair of homes destroyed or damaged during the conflict. “Because of this shortfall, we’re going to be forced to suspend the program by the end of the month,” UNWRA spokesman Christopher Gunness told Reuters on Thursday. 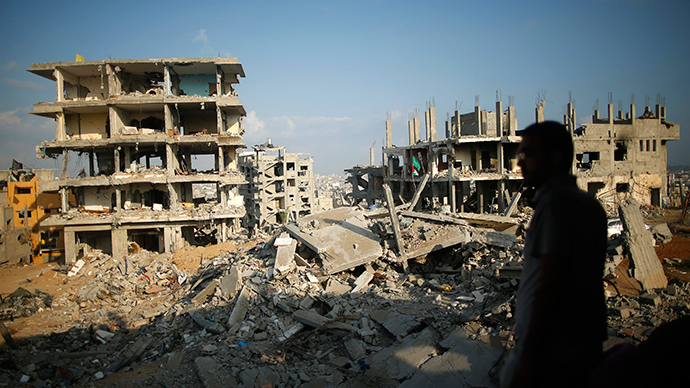 Israel was also criticized for not giving the civilian population in Gaza enough warning before strikes. The report added their “early warning” procedures, which included phone calls and text messages, were inconsistent and didn’t allow enough time for proper evacuations to take place. The Palestinian Non-Governmental Organization, Al-Mezan believes Israel’s failure to implement any preliminary warning strikes could constitute a war crime. #Israel failed to minimize #Gaza war deaths: report http://t.co/gF5XiBuannpic.twitter.com/XdJlFx2G1J"
The 273-page report, compiled from numerous visits to the area during and after the war, has also called for a full inquiry into the 50-day conflict. There were potential violations of humanitarian law, which need to be examined. Interviews were carried out with 68 people, who were injured during the conflict, while autopsies of 370 killed were also studied. The Palestinian Health Ministry said 45 ambulances were damaged or destroyed by direct hits from missiles, while the Military Police are currently investigating the deaths of two ambulance drivers in Gaza. According to Haaretz, medical workers interviewed by the report said there was an ineffective system in place to evacuate the wounded, which had been set up by the Red Cross. The report added the Israeli Defense Forces managed to hit a number of ambulances evacuating the injured, even though they had agreed routes with the Red Cross the emergency vehicles would take. Israel hit out at the findings, calling them biased and "based on one-sided and incorrect data assumed from biased sources," saying its "credibility should be questioned." "The IDF (Israel Defense Forces), in accordance to international law, went to extensive and unprecedented lengths in order to minimize civilian collateral damage," said a statement from the Israeli military. "Many of the practices of the IDF have far exceeded its obligations under international law."